Social studies teacher Scott Baum enjoying pasta during his free period in preparation for his long day. Psychology is a large philosophical field involving the inner workings of the mind. One can only wonder what transpires within the mind of a psychology teacher. In his thirteen years working here, social studies teacher Scott Baum has certainly found his niche. 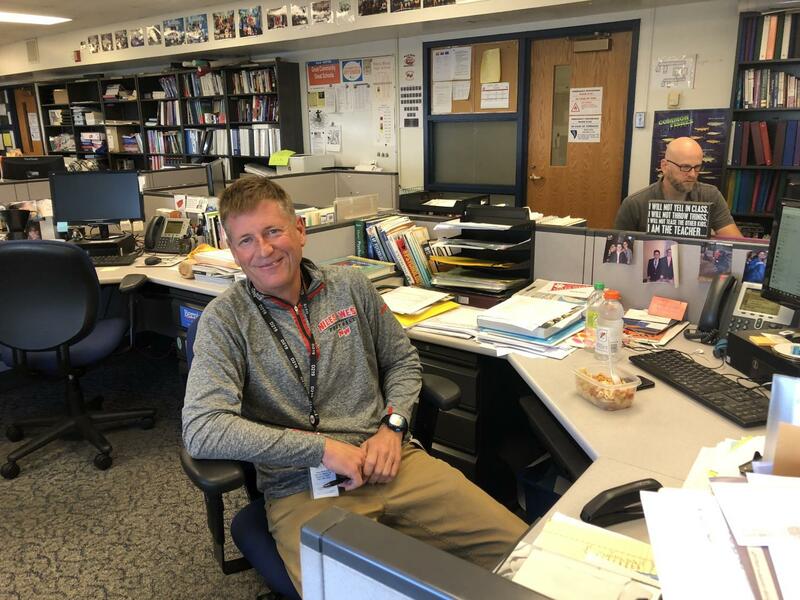 After working at De La Salle High School, Gordon Tech High School, and even a grade school, Baum was left unsatisfied with his work in teaching. But once he took a Social Studies and football coaching opening at West, he knew it was the right fit. Baum has always had a love for helping children and guiding them on a stable path. Baum’s dedication to seeing his students succeed and passion for teaching does not go unnoticed. Baum’s skills with this generation’s youth span out much farther than just the classroom. He has left a permanent mark on the football program here at West. Baum’s love of raising kids extends to his household as well, where he raises his own. “Outside of school, my hobbies are my kids and my to-do list, the things my wife tells me to do,” he said. Baum is a passionate member of our faculty here at West who has dedicated a majority of his life to making the lives of the next generation better.